Cindy Hyde-Smith’s week from hell is fast becoming her month from hell. 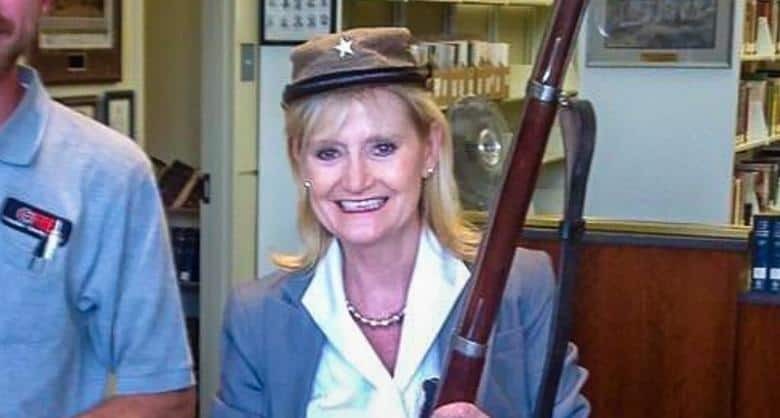 A Facebook photo, showing Hyde-Smith wearing a Confederate army hat and holding a shotgun, has surfaced online. The Senator personally posted the photo to Facebook. Mississippi has a long history of celebrating the Confederate army. Public opinion, however, is turning against the veneration of the rebel side. Hyde-Smith has spent the week combating accusations of racism, mostly due to her comments on lynching. The acting senator is battling Mike Espy, an African American, for Mississippi’s open Senate seat. Hyde-Smith held a press conference yesterday in which she apologized for her lynching comments. Many found the apology lacking as the senator blamed Democrats for blowing her comments out of proportion. She also promoted her upcoming campaign rallies with president Donald Trump. Hyde-Smith’s repeated political missteps have turned her race much more competitive. Espy, who is widely admired in the state, has been closing the gap in recent polls. The special runoff election for Mississippi’s vacant Senate seat will occur on November 27th.